So, while we are currently awaiting the full effects of Hurricane Irma and under a curfew for the next 36 hours I thought I would dust off the old blog and share some recent LL Bean purchases. I find this post kind of funny, since my last post was after Hurricane Matthew. I love LL Bean and I have yet to be disappointed by an item I've purchased. If you saw my IG stories about LL Bean, you get what I mean. The reporters on the Weather Channel who are out in the eye walls of the hurricane reporting on the storm are wearing LL Bean raincoats. So, if you ever doubted the quality of LL Bean just watch clips of those people! Anyways! 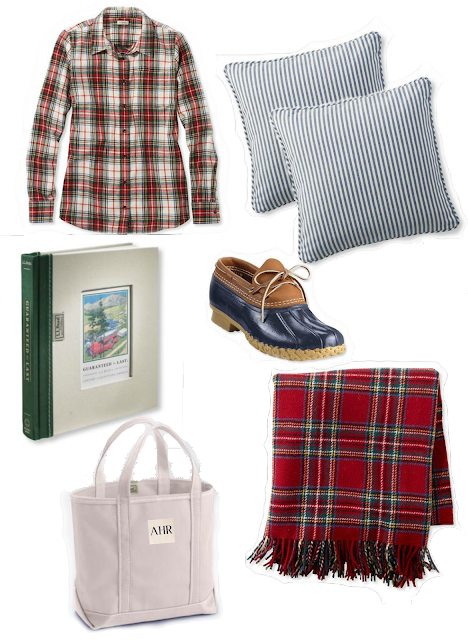 I went on a bit of an LL Bean shopping spree over the past few weeks! Some of the items haven't arrived yet (thanks, Irma!) but I am still excited for their arrival! I actually got the custom boat and tote a few months ago and I absolutely LOVE it! The all natural color makes it perfect to keep in the living room for pillows and extra blankets as well as a perfect size to travel with. I got the XL long handle zip top. I have also been looking for a skinnier yet still taller table that I could put in the dining room without taking up too much space. Our current one is a great height, but too wide so it makes the dining room tight. This console table is the perfect hight and width for the space! I can't wait to get it. Thankfully the delivery was delayed due to the hurricane so I don't have to worry about it getting damaged incase something drastic happens to our home. Since we live in Florida, I have never been able to get away with thick bedding or flannel sheets for the fall and winter months but we were in need of a new coverlet (thank you pups!). I had my eye on this coverlet in navy from LL Bean so when I saw that it was on sale, I had to scoop it up. Sadly the shams are sold out, but I'm thinking about getting some monogram ones! 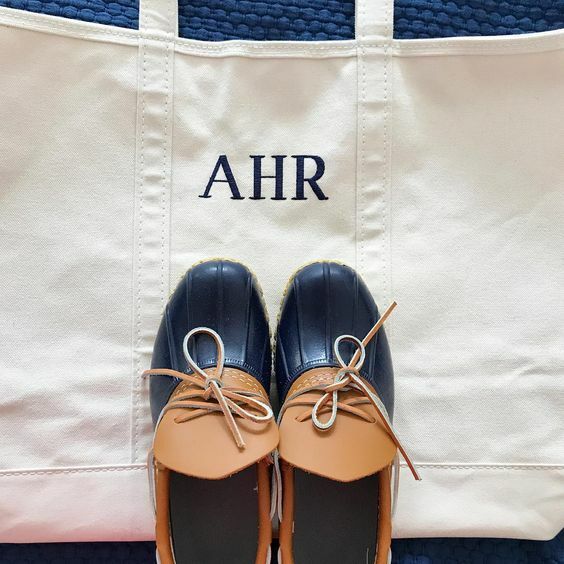 I shared in this Instagram snap the boat and tote, navy mocs and navy coverlet! The navy mocs have already come in handy as the rain has been rolling in the past 24 hours. Thank you LL Bean for making amazing products! Also - prayers to all of those in the path of Hurricane Irma! I have been amazed at how well our great state as pulled together to prepare homes and families for the effects. I am also so thankful for those who heeded their mandatory evacuation notices to get out of the low lying areas! We are not in one of those zones so we made the choice to ride it out and stay at home. I am anxiously waiting for this storm to be over and for rebuilding efforts to begin! See you on the other side, friends! Probably, of all the preferences, this casino is my favorite. rare vip casino I like everything in the casino, the roulette is excellent, I am glad that during the game you can also talk to people who also play at the same table! Muzychka great. With the conclusion there were no difficulties at all. Easily raised from $ 30 to $ 600, withdraw. Played, played, will play!